Tulloch Recruitment Limited is a multi-disciplined recruitment business which was established in 1993 and has developed a proven track record for providing specialist personnel to clients across the Oil & Gas and Renewables industries. 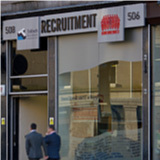 Headquartered in Aberdeen, Tulloch Recruitment is ideally situated to service the Oil & Gas sector in the North Sea but also operates globally. Tulloch Recruitment has recently serviced clients in projects across central Europe, the Middle East, Canada, Latin America, the United States, Africa and Australasia. Tulloch Recruitment’s client base across the energy sector consists of the major IOCs, independents operators, international service companies, large EPC contractors, privately-owned service companies and various midstream/downstream service companies. Tulloch Recruitment has an enviable reputation for supplying its clients with candidates who possess the appropriate expertise, experience and qualifications on permanent, long-term and short-term contracts. Tulloch Recruitment prides itself on delivering a first-class service to clients which includes the ability and expertise to manage large multi-million pound projects whilst remaining flexible enough to respond to the clients daily needs. Tulloch Recruitment works on both a proactive and reactive basis to support clients in obtaining the optimum workforce to maximise an on-going competitive positioning, whilst supporting the development of personnel through various training and career development initiatives. Tulloch Recruitment’s strength resides in the professionalism of its staff and the company invests significant time and resources in ensuring qualified recruitment professionals are highly trained to consistently source, and place, the best candidates for our clients. Recruitment specialist utilise ISO 9001 and REC compliant management systems to ensure the consistent service standards are maintained whilst striving to continuously exceed client and candidate expectations in a range of specialised disciplines. Furthermore, Tulloch Recruitment has systematically developed its database of professionally qualified personnel over the last 18 years, many of whom have worked for the company on various projects for a number of years, in both blue-collar and white-collar positions. Tulloch Recruitment’s service offering incorporates several distinct recruitment divisions which include: Trades; Industrial; Engineering; Commercial; Offshore and International Projects.